Winner of the “Best Installation of the year” award at Digital Design Days/OFFF Italia 2016. Cp Company is an Italian apparel brand founded in the 70’s by Massimo Osti, the revolutionary designer internationally recognized as the “godfather of urban sportswear”. The brand celebrated its 40 years anniversary during Pitti Immagine 2015 in Florence, with an exclusive event hosted at Dogana di Via Valfonda. StudioAIRA realized an immersive A/V performance focused on an all-surrounding environment, a 230-degree shell built around the audience, filled with 40 iconic jackets all along its 60-meter length. Plumbing the depths of CP COMPANY’s vintage collection of books and magazines, studioAIRA managed to extract the company’s heritage and create an impressive and evocative series of contents ranging from Millemiglia races to pioneer aviators and iconic cyclists up to nowadays “urban ninjas”. Senses were stimulated thanks to a precise sync between audio fx and graphics elements, their movements and their shapes. In regard to sound design, sounds sampled from the jackets' buttons and zips, layered with epic percussions and recordings from old race cars, trains and aircrafts were adopted as audio palette for the installation. 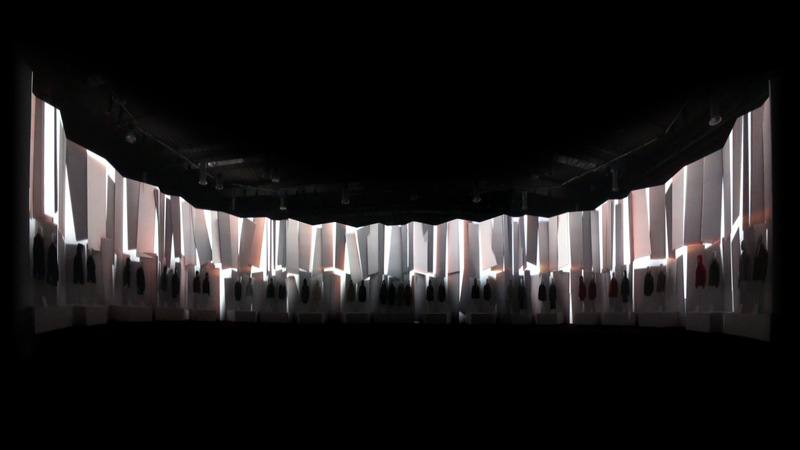 Between the shows the installation remained active, projecting footage of each jacket in the exposition, to magnify every feature and design detail of the legacy collection.